Mia is the last person I would ever want for a roommate. But when the apartment I share with her older brother floods, we need a place to crash. Being so close to Mia stirs up old feelings that neither of us can deny. Our living situation changes everything. A stolen kiss when her brother isn't looking is only the beginning. We both know what we are doing is wrong. But our forbidden romance feels too good to stop. 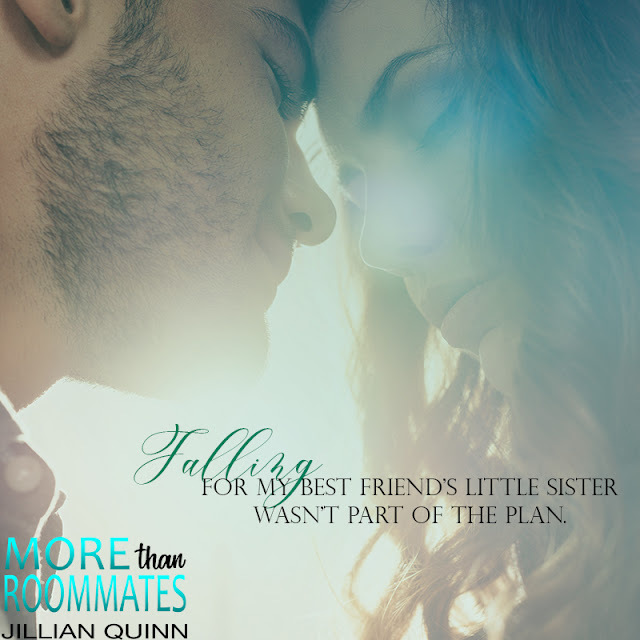 Jillian Quinn is an international bestselling romance author who likes her females just as alpha as their swoon-worthy male counterparts. As a lover of all things bookish, Jillian has a serious book-hoarding problem and runs a blog in her free time. When she's not reading, writing, or blogging, she's obsessively fangirling over hockey players and can be found wherever she can catch the next hockey game.